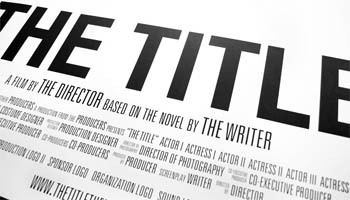 Developing title ideas may seem to be easy when you are starting out but will prove to be challenging in the long run. As a professional blogger, you will realize that you will need to come up with ideas that convert and make you good blogging money. You need to do your content marketing properly for you to attract the audience that’s right for your product or service. You will need to change as many people as possible to clients or subscribers. This will be achieved when you know the right keywords. In this post, we will discuss some of the best tools to use for this. This tool will take you to ask the seeker for topics that will be based on your keywords. This tool will give you content ideas through the use of Bing and Google suggestion data. This can be achieved by going directly to Google and Bing but the thing is that Answer the public will save you loads of time. This will also earn you good visual representation on direction you can use the keywords as a starting point. It will be important if you understood the content your competition is posting. SEMRush will scan the web for ideas on topics and give you long tail keywords and give information that will assist in beating your competition. The information will also include traffic that’s generated from the keywords and the cost per click. This will come a long way in supercharging your content marketing through analysis of the competitor’s content and see what performs well and what doesn’t. This will work wonders in giving your clues on keywords that will be fruitful and prevent you from covering topics that have already been covered. Buzzsumo will come a logn way in getting you into a niche, assist you in taking new direction with an idea that exists or make your content easy to emulate the best performing content on the internet. This site will give you a new way of reviewing top performing content. The top content will be determined by backlinks, organic traffic and social shares. This tool will give social share information similar to buzzsumo but this will also give you a domain rating, organic traffic and referring domains.